It’s just six weeks to Christmas 2015 and so it’s time for the Grumpyishmum gift guides! My husband is a bit of a tea fanatic. Earl Grey, Lady Grey, Chai, Lapsang Souchong… you name it he’s tried it. 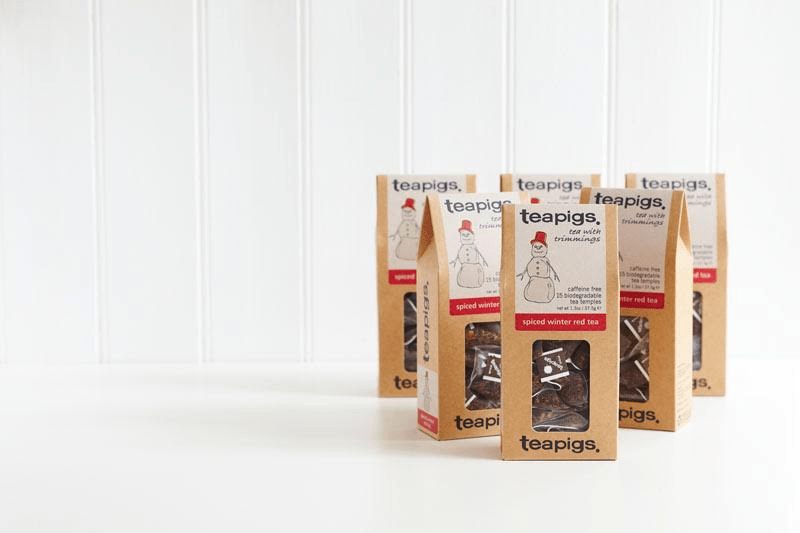 Teapigs spiced winter red tea will be perfect for him. It’s like Christmas in a cup! It’s a caffeine-free rooibos tea with orange cloves and cinnamon. Think mulled wine, mistletoe, winter coats and rosy cheeks… You can drink it as a caffeine-free chai latte or add a drop of brandy to make a hot toddy. Perfect stocking filler. From £4.49 at www.teapigs.co.uk Waitrose, Harvey Nichols, Selfridges and key retailers across the UK. Who doesn’t love cool socks? I have to have these superhero socks for the boys – I’m sure they will make running even more fun! These SockShop Batman Cape Socks are cotton rich, so they’re very wearable and comfortable, despite their novel looks. OK, they’re not exactly school wear, but he’ll love the jokey style and kitsch looks – if you’re lucky, you might even catch him bounding around the house with his twin capes flowing in the wind! A red, yellow and blue Superman design is also available as well as plenty of options for women. Christmas morning wouldn’t be complete in our house without a lot of chocolate. I’m not the type to turn down any kind of chocolate, but the ‘Endless Wispa really caught my eye – a string of 4 Cadbury Wispa bars sticking out of the top of my stocking? Yes please. Not everyone loves chocolate as much as I do, but most selection boxes contain nothing but chocolate. If you’re looking for an alternative, try a Chewits selection box instead. It might even last a little bit longer (though I couldn’t guarantee it!). The Chewits Selection Box is one of the only sweet selection boxes available to buy. It’s a real treat with eight full-size chewy stickpacks, including favourites Strawberry, Fruit Salad and Xtreme Sour Apple. The Selection Box is the perfect stocking filler and is ideal for those who love a sweet treat. You can’t really go wrong with a fun book when it comes to kids. Something I’ve never seen before is this interactive book from Zapper. 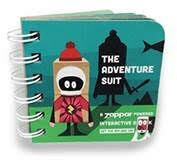 Available now at Amazon and priced at £4.99, The Adventure Suit is a rip-roaring adventure for girls and boys, brought to life with augmented reality technology and the free to download Zappar app. So there are a few ideas here for something a little bit different to put into this year’s stockings. I don’t know about you, but our stockings seem to get better and better every year. One thing you should never forget though are the chocolate coins – a Christmas stocking institution! *Disclosure: Cadbury sent me an Endless Wispa – and I ate it all. Endless wispa?! Oh my, I shall be asking Santa for one of those, best chocolate bar ever!! Fab guide too, you cannot go wrong with any of these gifts, especially socks! You ate all the endless Wispa? You animal, you didn’t even save me a corner. 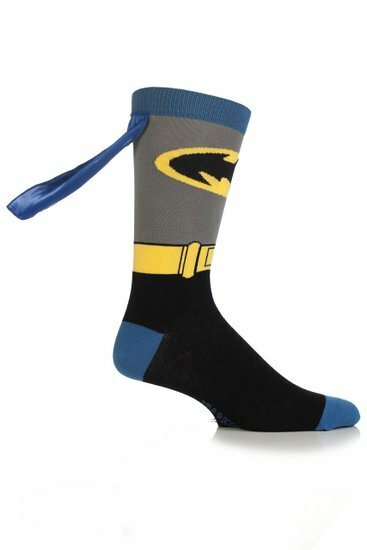 Those socks made me lol a bit, you can’t go wrong with socks, especially Batman socks with an integrated cape! 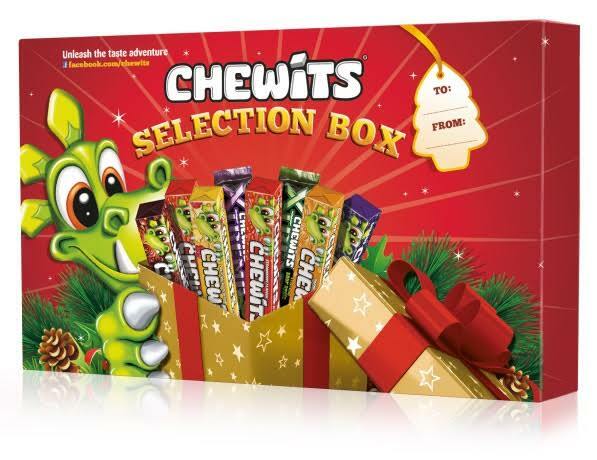 I don’t like much chocolate so I think I’d love the chewits box! I wonder if they do the Batman sock in adult size!! Ok is it wrong I want all of these just for myself haha. That interactive reality book sounds interesting, haven’t seen one of those before. Maxine recently posted…Baby Brain: Is it really a thing?